If you are on a weight loss diet then you must supplement your diet with water and healthy fluids, ginger water is one of them. When it comes to weight loss, one blunder people always commit is not taking their liquid calories in to count. You may have cut down on fattening chips and cookies to save those extra calories, but if you have been binge drinking aerated colas, sodas and sugary juices all this while in your weight loss journey- you may have to wait a while longer to see results. If you are on a weight loss diet then you must supplement your diet with water and healthy fluids like coconut water, nimbu pani, tea, coffee, and clear soups. Another healthy and low-calorie beverage that you can include in your weight loss diet is-ginger water. Ginger is a perennial herb native to China and India known as Zingiber officinale. In addition to adding strong and pungent flavour to our food, ginger is also used in a number of home remedies to treat problems like cold, flu, and indigestion. Ginger has been an essential part of Ayurveda since time immemorial. Ginger, among other things can also help shedding those extra kilos. Especially if you have it right in the morning. Dr. Shikha Sharma in her book '101 Weight Loss Tips' writes, "Drinking adrak in water early in the morningis good as it reduces water retention and helps in digestion, especially for kapha and vata constitution people." It is a well-known fact that digestion and weight loss are very closely interlinked. Poor digestion can lead to weight gain, as we are not able to absorb and assimilate our nutrients properly, moreover, it may not be able to eliminate waste from our body efficiently either. This may lead to slowing down of the metabolic rate. 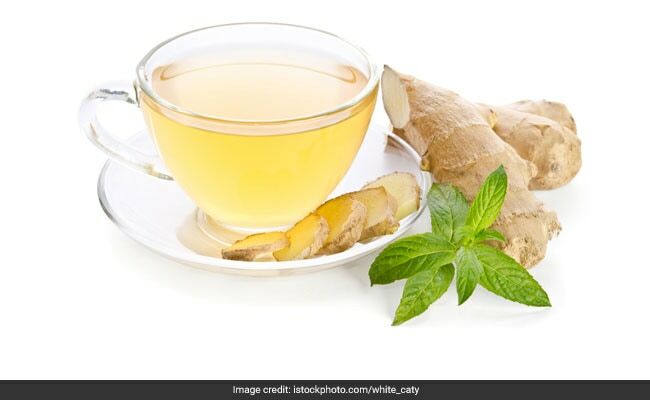 Consuming ginger water right in the morning may do wonders for your metabolism and digestion. According to The Complete Book of Ayurvedic Home Remedies by Dr. Vasant Lad, "The first key to prevention of indigestion is to enhance the digestive fire. One of the best herbs to kindle agni is ginger. If plain ginger water is too boring for you, you can also make this delicious lemon-ginger detox water. It gives your body an ideal kick-start and also boosts the metabolism. Just squeeze in half a lemon in lukewarm water (about 1 glass) and add in 1 inch grated ginger. Drink two glasses of the lemon and ginger detox drink early morning for 1-2 months without fail and watch out for effective results.